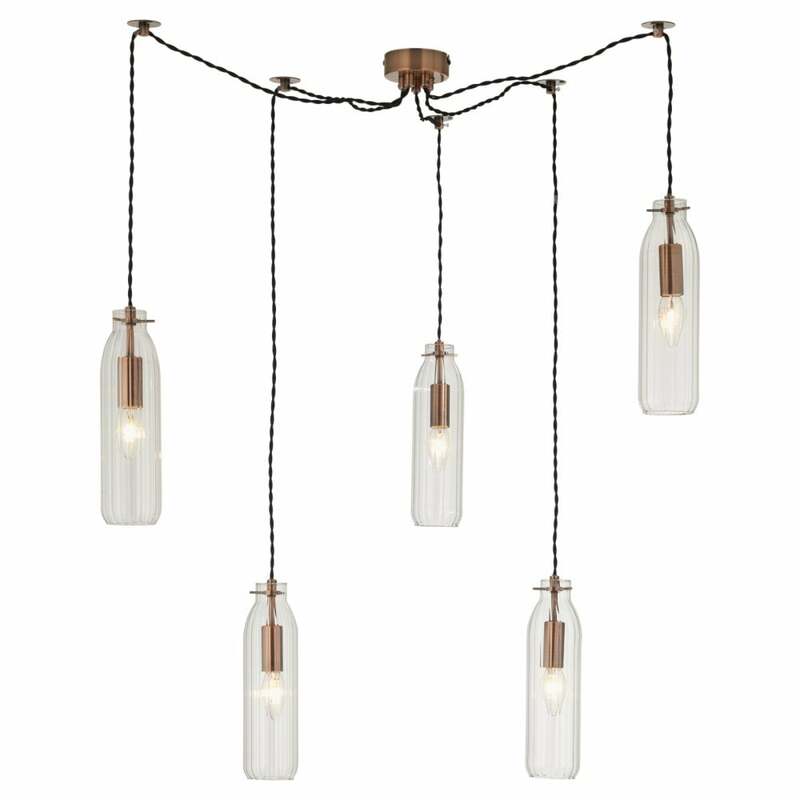 Oaks Lighting Hyperion 5 light ceiling pendant features a circular design ceiling plate in copper finish which holds 5 cables with ribbed clear glass shades and comes supplied with fixing plates to enable you to create your own lighting display. The product code is 4856/5 CU. This unusual design will be a talking point in any room within your home, the individual fixing plates allows you to add your own touch to your lighting design and will sit perfectly in any modern or traditional setting alike. The Hyperion range is also available antique brass finish and includes a matching single light pendant which can be ordered on our website.